InfoComm is partnering with Valencia College, based in Orlando, FL, to offer InfoComm coursework within the college's Entertainment Design and Technology program. The agreement with Valencia College reflects InfoComm's progress in workforce development for the AV industry. 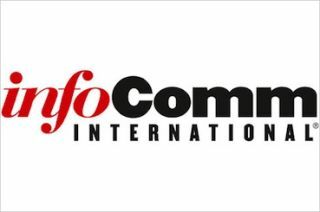 "Workforce development is a major focus for InfoComm and its foundation, the International Communications Industry Foundation (ICIF). That's why we're partnering with colleges and universities to help educate tomorrow's professionals," said Betsy Jaffe, executive director, ICIF, and senior vice president of member services, InfoComm International. "Currently, if you ask a group of AV professionals what led them to careers in AV, you'll hear a lot of different answers. Partnerships like this create a clear education path for students interested in pursuing an exciting career in the AV industry." Valencia College currently offers AV courses, but now students in the Entertainment Design and Technology program can choose to dive deeper into the topic. By partnering with InfoComm, the college will ensure that the new AV Event Production specialization, currently being developed, will equip students with a complete set of skills needed by entry-level workers in the AV event industry. The new specialization will include InfoComm's Essentials of AV Technology course, the AV Technologist exam, live events coursework, and assorted online classes. Valencia College plans to have the new AV Event Production specialization ready for enrollment by the 2017 fall semester. "We have been using an InfoComm publication as a textbook to teach our Introduction to AV Production course for the last five years, and, for the past decade, Valencia staff and faculty have been attending the InfoComm show when it comes to Orlando," said Kristin Abel, Entertainment Design and Technology program chair, Valencia College. "Incorporating InfoComm's coursework will help us ensure we're teaching skills that are used every day in the AV live events industry. It is very useful to have these courses available to us to guide us in equipment decisions and to help us create hands-on activities in connection with the InfoComm online training modules." Valencia College has worked with the International Alliance of Theatrical Stage Employees (IATSE), an InfoComm member, for many years to support the college's prominent theater and live events programs. "Valencia College and IATSE recognized the increasing need for professionals in these fields to have more AV/IT knowledge," Jaffe said. "It quickly became clear that InfoComm's education would align well with Valencia's existing curriculum."